This will bring a smile to a Star Wars Fan’s face! 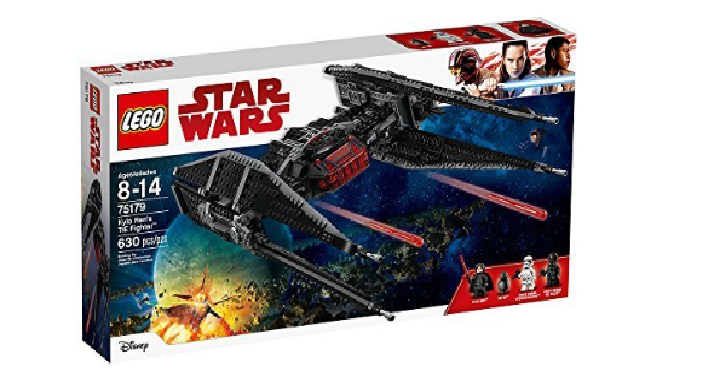 Right now on Amazon, you can get this Lego Star Wars Episode VIII: Kylo Ren’s Tie Fighter Building Kit for Only $49 Shipped! (Reg. $80).Kids can recreate battle adventures from Star Wars: Episode VIII, The Last Jedi or create their own. The model features large wings and red exhaust detailing for role playing or an impressive display. Builders will love to blast off in hot pursuit of the Resistance ships! This makes a great gift idea for the experienced LEGO builder who loves Star Wars!